Main & Market: Sights and Sounds of the Queen City and Beyond | Buel, Rev. Samuel; Cady, Rev. Philander K.
Buel, Rev. Samuel; Cady, Rev. 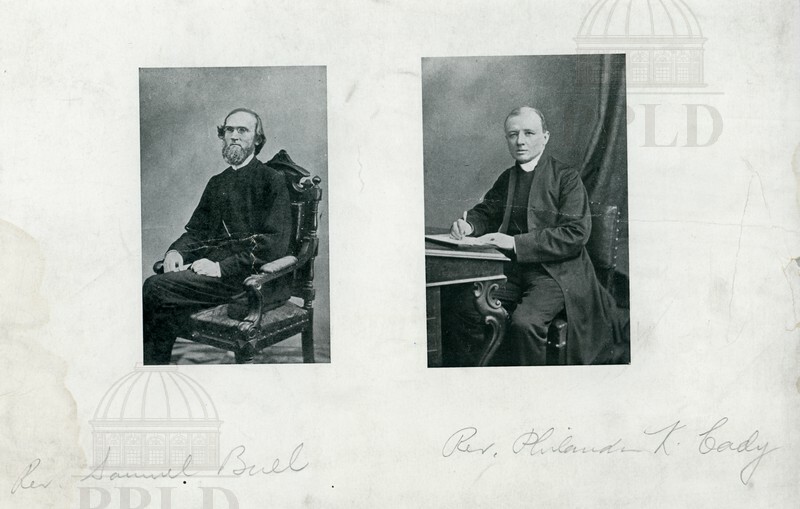 Philander K.
Individual portraits of the Reverend Samuel Buel & Reverend Philander K. Cady - Christ Church Rectors. “Buel, Rev. Samuel; Cady, Rev. Philander K.,” Main & Market: Sights and Sounds of the Queen City and Beyond, accessed April 24, 2019, http://mainandmarket.poklib.org/items/show/3418.